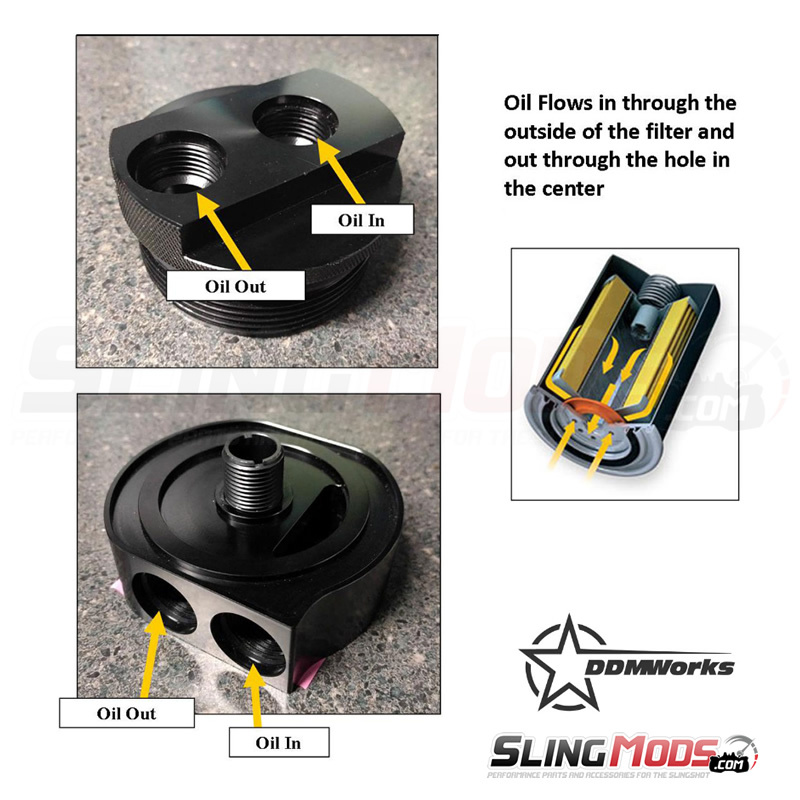 The DDMWorks Oil cooler and filter relocation kit is a great addition for those that drive their Slingshot hard or have added a Supercharger or Turbo. 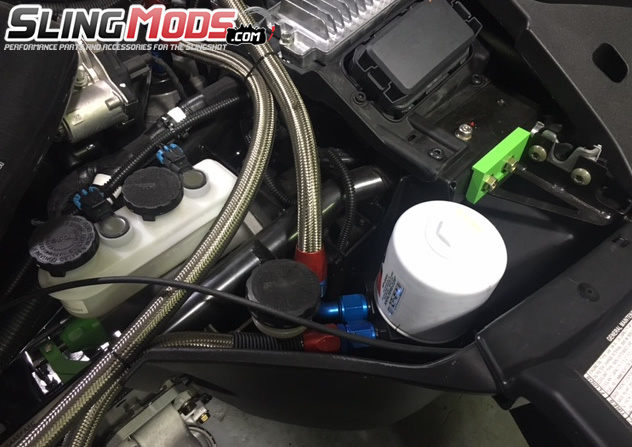 We have specifically designed this kit to be a plug and play install on the Polaris Slingshot to give protection from high oil temperatures found in boosted or hard driven Slingshots. When you drive your Slingshot hard, the oil temperatures will start to climb and if you have added a Supercharger or Turbo those temperatures only get hotter. 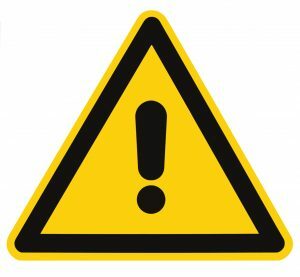 As the engine oil starts to heat up it will start to breakdown and not provide as much protection to the engine and can start to lead to failures. Our kit is designed to fight higher temperatures in a couple of ways. 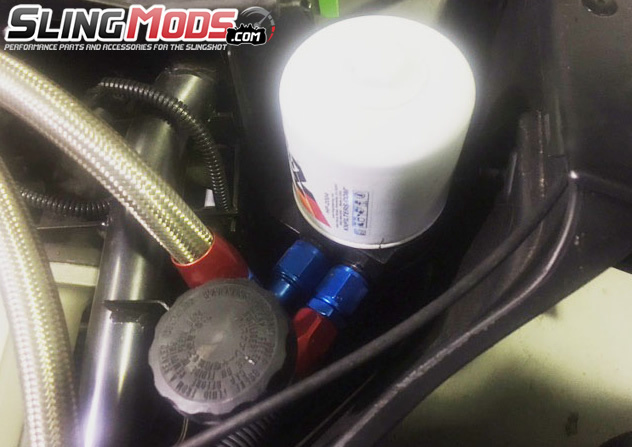 The unique oil filter we designed fits in the place of the stock oil filter and cap allows large -10AN hose to be routed to an external oil cooler and filter. 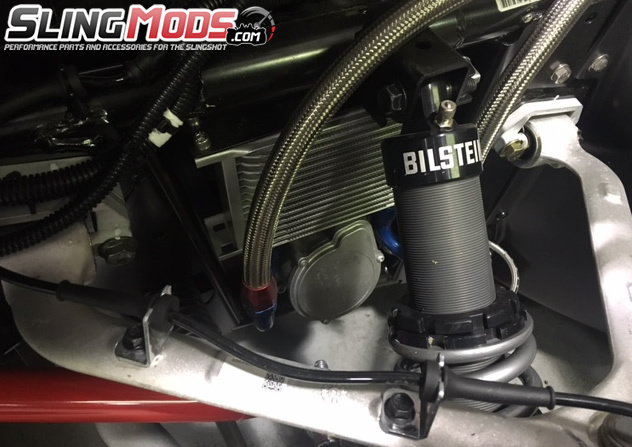 The oil cooler is mounted with a stainless steel bracket on the drivers side of the engine bay that allows air exiting the engine bay to flow through the cooler to take away heat from the oil. Then the oil is sent to a larger oversized oil filter that provides more surface area than the stock filter, providing longer filter life and less pressure loss across the filter than stock. All of the extra parts in the system also increase the oil capacity of the oil system by an amazing 2 quarts. With the larger amount of oil in the system, it takes longer for the oil to increase its temperature, providing more protection. 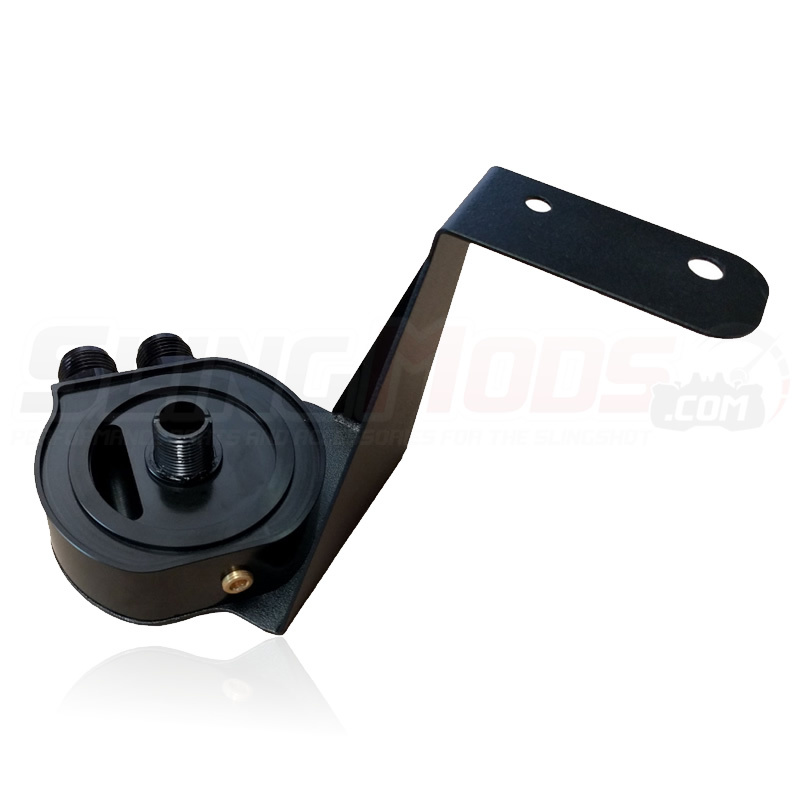 If you drive your Slingshot hard, this kit is a simple plug and play solution to give your engine protection from high oil temperatures. This kit will uses larger, common oil filter with 3/4" x 16 thread pitch - 2007 Dodge Ram 4.7L V8 (not included in kit). Hello Austin, here are your questions with the answers listed below. Thanks for the inquiry! 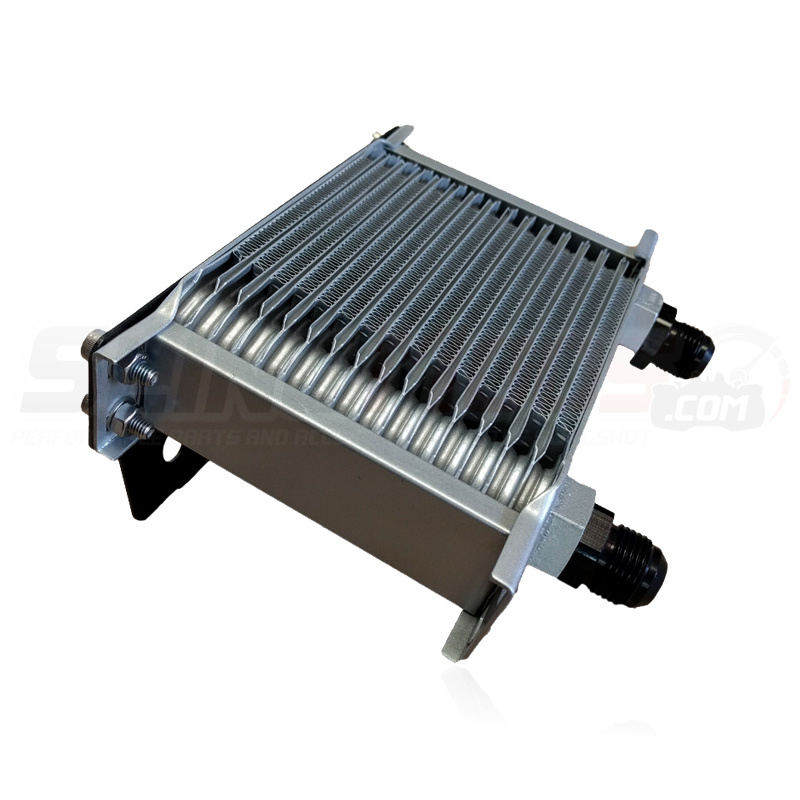 Is there a fan for this oil cooler? - There is no fan on the cooler as we ship the kits. How does air flow across the radiator? 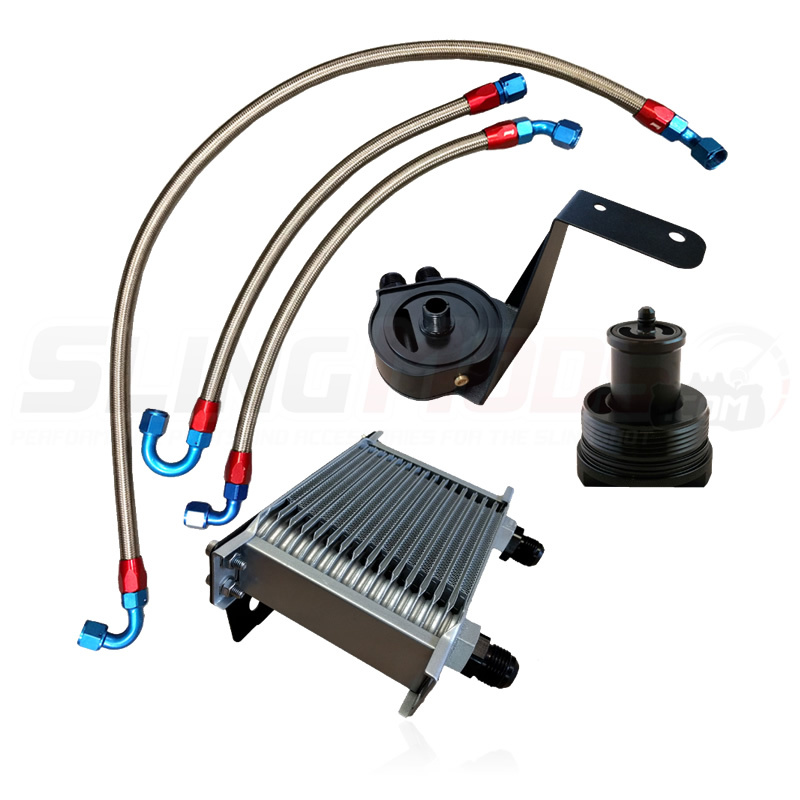 - Under normal driving conditions there is a large amount of air that moves between the wheel well and the engine bay in the opening where the oil cooler radiator mounts. Do we have any specs for the oil temp drop when using this? 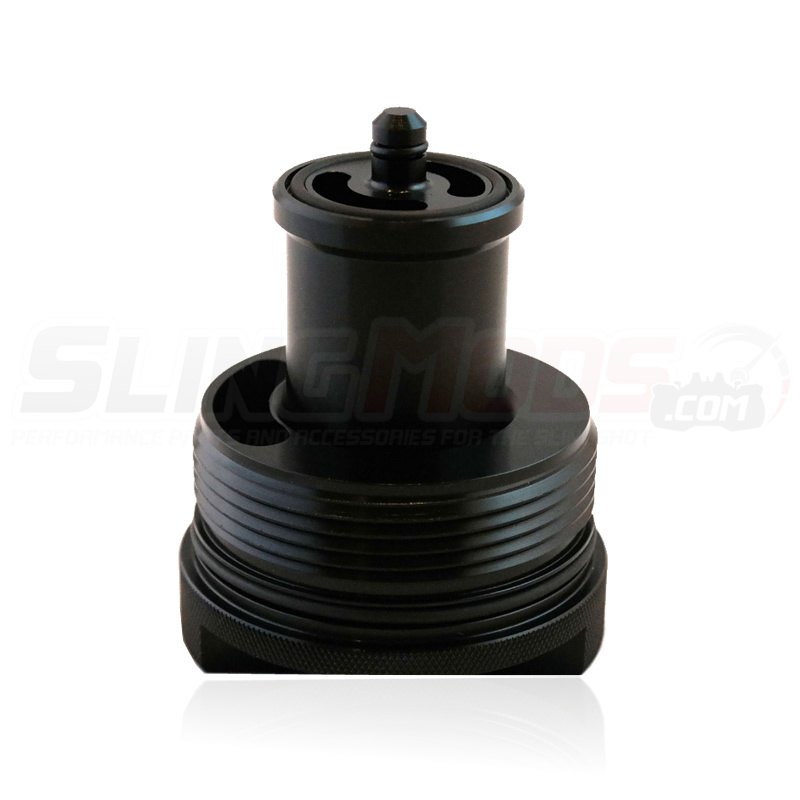 - Temperature drop is very dependent on outside ambient temperature and what other modifications are installed on the Slingshot. Turbocharged Slingshots have higher oil temperatures than supercharged or naturally aspirated Slingshots, because of that higher oil temperature, you will see more of a drop in oil temperature with a Turbocharged Slingshot. We have measured a typical Slingshot and at idle the oil temperature stayed typically 15-20 degrees cooler from startup all the way until the coolant fan came on. On turbocharged slingshots we have seen oil temperatures under hard driving go from 240-250 degrees stock to 210. We have seen oil temperatures while cruising stay in the 180's when typically they would be in the lower 200's under those same conditions.